As girly as I am, even I get sick of the skirts and dresses sometimes. 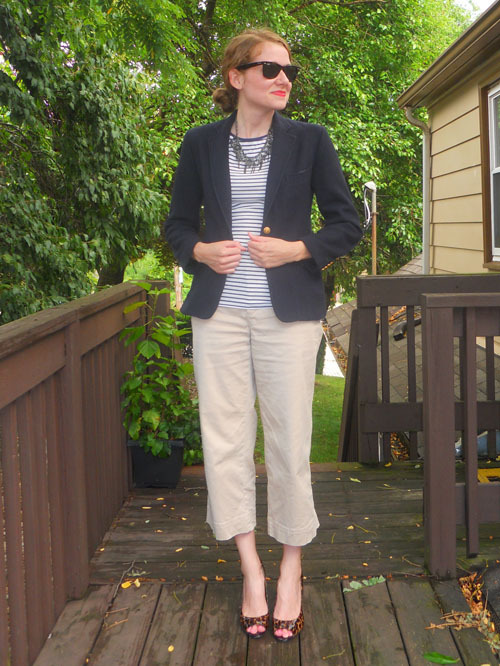 I tried out this tomboy look to change things up. 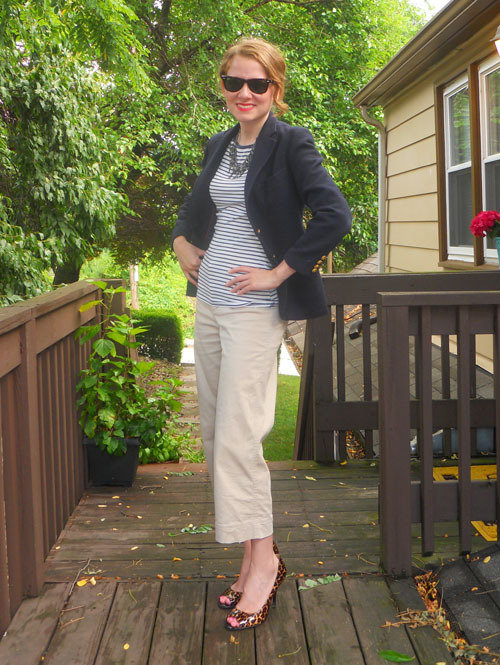 Cropped, wide leg khaki pants are a real departure for me as this is a style I have never liked. For some reason, when they are turned into a nautical look with a striped shirt I can get on board. I wanted to mix up the classic elements so I threw on this jagged necklace and topped off the look with my leopard print heels. What do you think? I sort of like the change of pace.